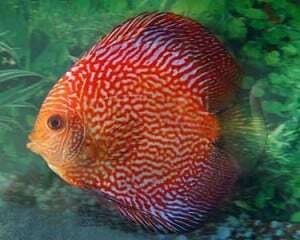 The Leopard Skin Discus is less man-made than many of the other strains of discus, as it is a direct result of selective breeding from two naturally occurring variants of wild red spotted green discus originating from different areas of the Amazon and not through genetic mutation. 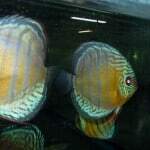 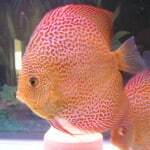 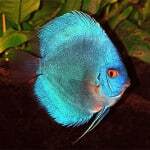 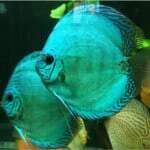 This breeding work was performed by breeders in Hong Kong, who over the course of about a decade were able to selectively breed the discus to achieve what we now call the Leopard Skin Discus. 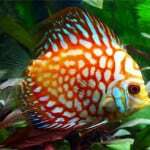 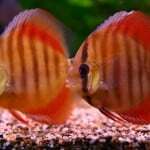 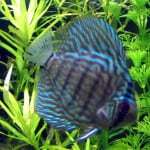 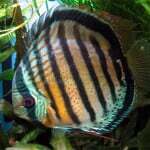 Red Leopard Discus – Symphysodon Aequifaciatus sp.